The k̓awat̕si Economic Development General Partner Corporation (KEDC) logo is comprised of three main parts that are very important to the history and culture of the Gwa’sala-‘Nakwaxda’xw Nations. The painted bentwood box (k̓awat̕si) is what families and communities have used to house their treasures for time immemorial. The Copper that is being held by the k̓awat̕si is one of the most sacred items that our families hold dear. it means many things, not least of which is a sign of wealth, prestige and power. Finally, the Sisiutl is one of the most powerful crests and mythological creatures in the mythology of the Kwakwaka’wakw, it is a protector and can be a fierce warrior, in our logo it has embraced the k̓awat̕si and shows that it is ready to protect it from all who might try to do harm. The k’awat’si Economic Development General Partner Corporation (KEDC) was created in 2014 to capitalize on a strong desire by the community to grow opportunities. KEDC’s mandate is to investigate and realize revenue, prosperity, skills and development to the community. As a distinct entity, reporting to Chief and Council, KEDC is tasked with creating, operating and supporting businesses that will be profitable, environmentally sustainable and culturally significant, while simultaneously respecting the unique cultural values of the Gwa’sala ‘Nakwaxda’xw people. KEDC is led by CEO Conrad Browne and supported by a five member board of exceptionally experienced and talented professionals to provide oversight, guidance and direction on existing and future initiatives. Conrad joined the Gwa’sala-‘Nakwaxda’xw Nations as an economic development officer in 2010 after leaving his position as District Compliance Leader/ Operations Manager with the then Ministry of Forests and Range, in the Provincial Government of BC. When KEDC was formed in 2014, he became the CEO to provide leadership in realizing the many great initiatives planned for the community. Conrad has over 30 years of experience in the resource sector combined with hospitality and restaurant businesses. Growing up in Alberta, Conrad spent his formative years in agricultural and ranching. 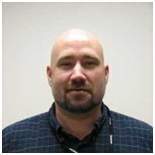 Conrad is currently on a leave of absence from the Association of BC Forest Professionals where he is a RFT. Conrad also has his 4th class Power Engineer’s ticket as well as his Chef’s papers. Creating high functioning teams is a passion. His time working with and learning from the great Gwa’sala-‘Nakwaxda’xw community is continuing his drive to see all of the areas that he is working on succeeds. 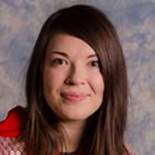 Jessie was raised in the Gwa’sala-‘Nakwaxda’xw community, attending the GN School and spending summers as a child and adult in the home lands. After graduating from Port Hardy Secondary, she finished her Bachelor’s degree in Linguistics and Indigenous Studies before returning home to lead the GN Comprehensive Community Plan (CCP) from 2008-2011, which gave her a good sense of the community’s vision and needs as she moved into a role as Communications Director and Executive Assistant for the band, while also traveling the province to teach other First Nations how to do community planning. Today Jessie runs her own company, works and presents all over Canada, sits on council for the District of Port Hardy as the first local First Nations person ever elected to that council, and continues to do many projects with the Gwa’sala-‘Nakwaxda’xw Nations. She also recently won a seat as Director at Large for the Association of Vancouver Island and Coastal Communities, and is a board member for the Canadian Women’s Foundation’s Girl’s Fund. James Walkus is a member of the Gwa’sala Nation and the proud owner of the largest private commercial fishing fleet on Canada’s west coast and real estate holdings in Hawaii, Washington State, and British Columbia. James is also the author of an article read by thousands entitled, God is My Co-Captain, and is strongly rooted in his faith. James has helped to build two churches as well as to help to create economic development opportunities for many reserve communities at the northern tip of Vancouver Island. James recently received the National Aboriginal Achievement Award in Business and Commerce. 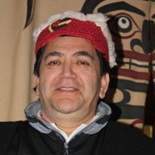 Les Taylor is a Kwakiutl from the Tsawataineuk Band in Kingcome Inlet and transferred to the Gwa’sala ‘Nakwaxda’xw Nations 20 years ago. He has worked at many senior level positions over the years. He started his career at an early age, owning his own falling company for 20 years and as owner operator of a water taxi operation in the North Island. He has held senior management positions for Housing Corporations, Native organizations and other Native Bands. He is very experienced in Economic Development initiatives, development and opportunities. He takes pride in his culture and actively participates in our potlatch system. 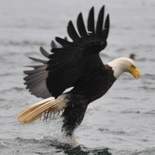 His Chiefs name is “ NUMAS “ He currently resides in Port Hardy, B.C. with his two youngest girls and their dog, Queenie and two cats, Midnight and Raja. He has 6 daughters, 1 son and 7 grandchildren. He is currently working in the legal profession.